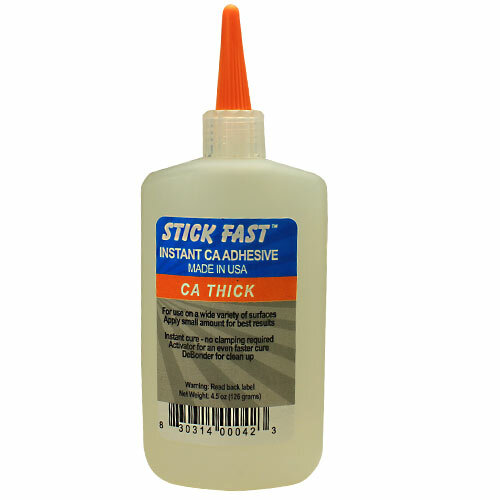 Turning Adhesives - Stick Fast Thick CA Glue - 4.5 oz. Syrupy consistency. Long set time for assembly. Good for filling larger cracks and bonding of uneven surfaces. CA (cyanoacrylate) glues are ideal for bonding a wide variety of material types; sealing & preserving spalted or punky woods; application as a protective finish; and filling nasty cracks, dents, and holes.